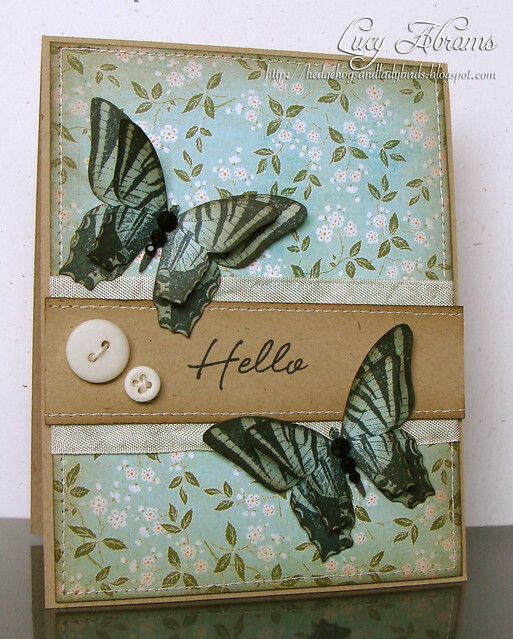 the butterflies are created using the Greetings and Just Because sets. The sentiment is from the Say it All set and I used patterned paper from the Picadilly line. Your card is beautiful - love those butterflies! Beautiful Lucy! How's your sweet baby? Fab card Lucy - loving all the new products! Such a Pretty Card Lucy...Love those Butterflies! !